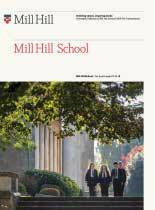 With the constantly changing landscape of Higher Education and employment here in the UK and globally, Mill Hill School seeks to offer comprehensive support and guidance for both pupils and parents. To this end, Miss Sharples is our full time University & Post School Guidance Counsellor. BridgeU – a digital platform for students seeking university guidance on a national and global scale. We work closely with other external providers such as UniAdmissions, a company that provides guidance and support relating to competitive admissions in the UK – Oxbridge, Law, Medical, Veterinary Science and Dentistry applications, along with Engineering and Economics etc. We work closely with other specialist external providers such as Umissions and Kaplan who can provide SAT/ACT diagnostics and tuition, application support and college selection guidance, with the option of buying in to a comprehensive individual support programme where required for US applications. With global applications beyond the UK and USA becoming more popular in recent years, we work closely with A Star Future who can help with very specialist advice on particular global applications. We also work with Mr Gordon Collins from CES London, a Careers and Higher Education independent consultant. In terms of top universities in the world, we have placed 30 (or 26%) of our students in universities ranking in the top 50 in the QS world universities ranking and 53% have gained places at Russell Group Universities. Amongst our high flyers are five students who have been offered places at Oxford or Cambridge for the following courses: Classics, French with Linguistics, Spanish with Arabic, History and English Language and Literature. For the second year running we are pleased to have a student gain a place at the Courtauld Institute to study History of Art.